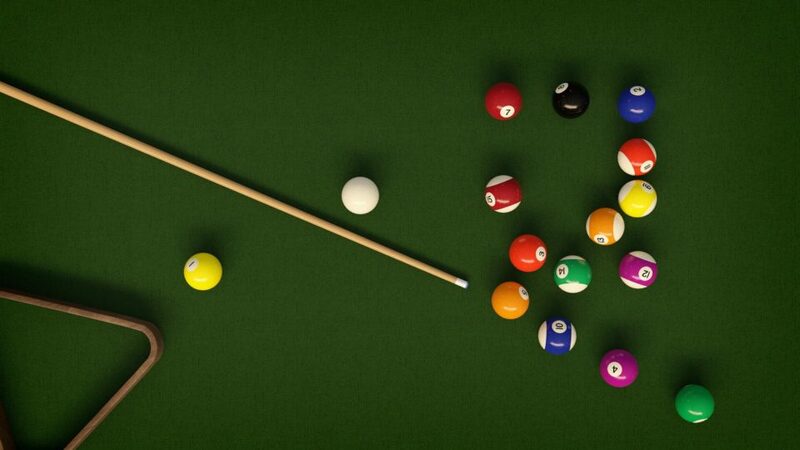 The origin of billiard tables is not so clear. The most common theory is that around the fifteenth century, tables were used in France and England for an indoor version of a lawn game similar to croquet. A ball was hit with a billart (French) through a wire. The six pockets around the edges of the table were still not a part of the game. Historically, the first billiard table was one sold to King Louis XI of France in 1470. Nowadays, people can order and install billiard tables in their home. Entertainment is endless with this game, and they even make luxurious dining tables. Moving house is never easy, but it is exceptionally tricky with such a bulky object. The process has a lot of steps, and our tips are here to help you move a pool table like a pro. Billiards became popular in England, too, and at the same time. The rules were different from place to place. By 1674 the billart had evolved into a thinner cue. It took another century for the rules to change. The wire disappeared from the game. Players began to intentionally use the walls to bounce the balls off the edges. That is when pool tables began to evolve into the horsehair padded billiards. The pockets finally started to get their use as points to be hit. Fun home entertainment can also be a dining table. Moving a pool table can be a little tricky. If you want it to be fast, the best solution is hiring a moving company, such as Huys Bros. Moving. But if you want to do it yourself, you need a good plan. First, unscrew the 6 pockets on your table. Standard pool tables will have 4 corner pockets and 2 side pockets. Depending on the design, pockets could be accessed in different ways. Usually, there will be staples attaching each pocket to the table. Check this first, and if you find staples, do it in the following manner. Lay on your back under the table and pull the staples out of each pocket. If you have one, use a staple puller, but a simple screwdriver will do. Remember to wear eye protection, because you can never be too careful. Detach the rails using a wrench. Most commonly, pool table manufacturers use screw bolts to attach the rails to the frame of the billiards. This is a very simple step that requires just a little muscle work. After you have removed all the bolts, the rails will be free to slide out. You may need a helping hand to slide them out if they are attached to each other. Then you will have to disconnect them section by section. Also a very simple step just requires another person because of the size of the rails. Time for the felt. A tear to your felt can ruin it completely. Look closely at your table to see how the felt is attached. Usually, you will find staples, so use a staple puller. Be very gentle either way to avoid damage. If it was glued to the frame, remove it by slowly pulling the felt backward. Never pull upwards otherwise it can easily rip. Fold the felt gently and don’t squish it during the packing. To move a pool table, you will have to separate the slate from the table. You will most likely need a power drill to do this. This is not a major step, it just may require tools you don’t own. Borrow or rent a drill with the proper type of bit. If beeswax was used on the screws to prevent damage, scrape off the beeswax before unscrewing the slate. Slate is the crucial part of a billiard. 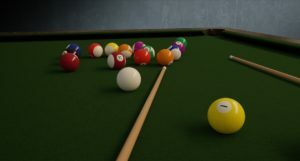 It is the part that forms the level surface on top of which you play pool. It must remain unscathed to protect the quality of your future games. Slate usually comes in one or three pieces. It’s safe to put pieces of slate on top of each other but fasten them safely. Also, wrap slate in a blanket or some other protective cloth. You will need the drill again and a proper bit for it. A bit of old school unscrewing and the legs are off. 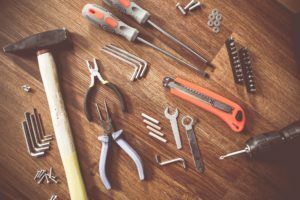 Dissembling a pool table will require a flathead screwdriver, a power drill, and gentle hands. Now all the delicate parts are packed, and the legs are dissembled. Time for the frame. You can pack the frame on top of the slate in the moving truck. To move a pool table with a lacquered finish requires patience. Everything you do must be done gently. You need to wrap all the pieces in some kind of padding. The frame is a very heavy item, so it’s essential you maneuver it carefully. When you move a pool table, let it be the first thing you unbox. You have moved to the new house. It is recommended the pool table be one of the first objects you unpack. It is probably the bulkiest thing you own and needs a lot of space for reassembling. You don’t want to trip on other boxes or a throw rug when you’re carrying the heavy slate. Rebuild your table in reverse of course. But note that this will take all your patience and a gentle touch. It is not difficult but requires precision. You don’t want to end up with an uneven table. Start with connecting the legs and the frame. After some tightening of the screws, you will be ready to place the slate. Single pieces of slate will install more easily than three pieces. Either way, take care you don’t get your fingers caught in between the slate (pieces) and the frame edges. Use a level to check that the frame is still properly shaped. The move may have caused some shifts in the shape of the frame, especially with older wooden tables. Be free to also use a carpenter’s square. If something is off, you will need to make a trip to the hardware store for some tools to correct this. Any warping can be fixed with some wood manipulation or with adding a new piece to level unexpected rocking. Scrap steel or a sturdy tile could support the weight of the heavy billiard. Have a friend hold a level on the flat part of the frame and check the table. Adjust the legs that need re-leveling since every building has its own pitch. Repeat this process several times for perfect flatness of the frame. There is little you can do to your table if the entire frame has warped. Sometimes the edges are so warped that the slate won’t fit inside the frame. The slate, on the other hand, can be fixed. Upon fixing any damage, you can use thin wedges of wood, to jam into the cracks and level the slate. 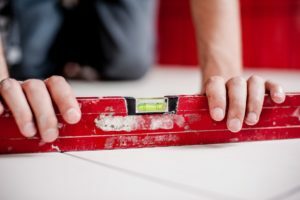 When rebuilding your table, you should level it repeatedly through every step. You will need a level and a helper to move a pool table. When you have to move a pool table by yourself, all kinds of unexpected problems could arise. But if you follow these steps thoroughly, you shouldn’t have issues with standard billiards. For specialized or antique tables, be sure to investigate further instructions for optimum results. These beautiful bulky multifunctional objects need special care when moving, so be prepared.